Welcome to the LLM one of the best well kept secrets in the fly fishing and light tackle world. The Lower Laguna Madre is the only place on the Texas coast to chase redfish, trout, tarpon, and snook all in a single day. We offer targeted trips from tailing reds over turtle grass bottom to white sand Bahamian-type waters off of South Padre Island. The LLM is home to several trout IGFA world records. 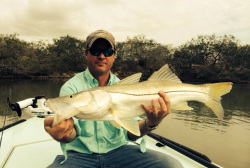 Monster snook lurk near mangrove-lined shores, and our seasonal tarpon fishery is comparable to other famous destinations. 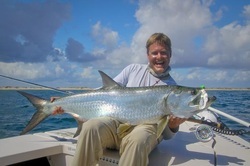 We accommodate the savvy fly caster or well seasoned light tackle enthusiasts. Depending on your choice of areas we can fish out of South Padre Island, Arroyo City, and Port Mansfield. Regardless of your passion we will help guide you on new experiences, different possibilities, and never seen before South Texas fly fishing.